Are you ready for a little color? I stopped by the church quilting group the other day to drop something off. Snapped some pictures of quilts that will eventually be ready for auction in April. This is the Gelaskin cover on my new phone. Wouldn't it make a great quilt? A display of tea seen at Barnes and Noble. I would like one of each color to display on a shelf in my kitchen. This mini-sized Darth Vader is just a teensy bit obsessed about all things Star Wars. I found fabric on Ebay. Some will be used to make a pillow case. He needs some kind of bag to hold the Star Wars Legos he will be getting for Christmas. I know for a fact he will be receiving Legos because his Grandpa and I have already had that conversation with Santa. In fact, Santa gave me his personal okay to do a little bit of sewing to help him out. This fat quarter is just the thing to start with. Then I was poking around Mo Bedell's blog and saw her newest line of fabric, sadly not coming out until after the first of the year. I told her my plans involving an adorable 3 1/2-year-old, and then groveled and begged politely asked if she had any scraps. Wow! Look what arrived in the mail this week! Absolutely perfect colors and design. Thanks, Mo! I've started knitting. Skeins of Noro Kureyon yarn arrived at my doorstep the other day. I borrowed some "props" from my daughter-in-law and had a little photo session. Mark and I just had a picture taken for the new church directory the other night. The photographer spent most of the time saying things like, "Can you tilt your head a little to the left, okay now lift your chin, okay now look toward me, okay now twist yourself like a pretzel." Well, maybe not that last part.... These luscious little balls of yarn let me do whatever I pleased without a peep. I love all those beautiful yarns and the squares you've made! And the 'not yet released' fabric is fabulous - can't wait to see what you make to help out Father Christmas! Total feast of colour- enjoyed that a lot! 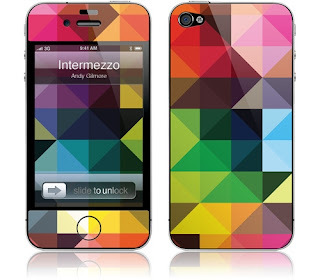 LOVE your new phone skin!!!! And that Darth is a cutie. I love Colorful Life's Color Edition especially the colorful dish cloths and phone cover....thanks for coloring my world! Oh my goodness - that yarn! THAT YARN! Also, Darth is so very cute. I'm in love with your darth vadar! Those skeins of yarn look good enough to get me back into knitting - I'm serious! Wow!!!! Love all these color projects! I really love those grungy fabrics. They work so well as basics in my stash. Love working with the Noro yarns too. It's fun to watch the colors change as you knit along. Thanks for the tip on that iPhone case - I might have to order one of those since I'm just using a basic black bumper for now. Check out the Lego Ideas Book, best price found on Amazon so far. We are considering the mini-figure set (246 pieces) or a wheel set to extend the lego play and imagination. L.O.V.E. LEGOS. Although, we are not Star Wars fans. So far, anything with weapons has not crossed our threshold. I would like to keep it that way. So far, so good. L.O.V.E. LEGOS. I love your really random days!